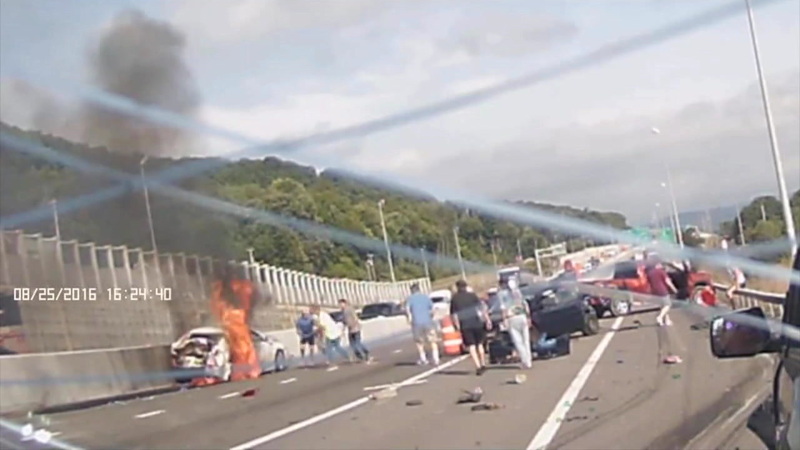 BINGHAMTON, New York (KGO) -- Dashcam video captured a 10-car pileup and the brave actions of bystanders in New York. The video shows the moment the crash happened. One of the cars burst into flames. That's when several people jumped into action to help put out the fire and rescue the driver. She suffered some cuts and bruises, authorities say. Ten people were taken to the hospital - two had serious injuries.